Walks Around Britain's blog: Snowdon isn't working... but why? Snowdon isn't working... but why? This week the British Mountaineering Council (BMC) said that Snowdon isn't working. It said a properly funded, long ranged strategy is needed to address the problems and risks caused by a massive increase in the numbers of visitors on Snowdon is needed. And they are certainly right. This all follows the Snowdonia National Park Authority agreeing to remove ‘false paths’ from the summit of Snowdon - and after they made comments which have been interpreted in some quarters as warning families with children to stay away from summits. 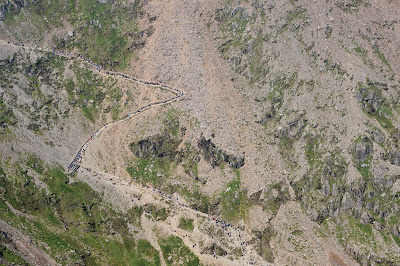 Let's look at the increasing numbers of people walking to the top of Snowdon. Snowdon is Britain’s busiest mountain - and one of the reasons why is it is actually quite accessible to walk up - so The BMC believes Central Government funding to the Snowdonia National Park Authority (SNPA) should be increased to reflect the challenges this popularity brings. 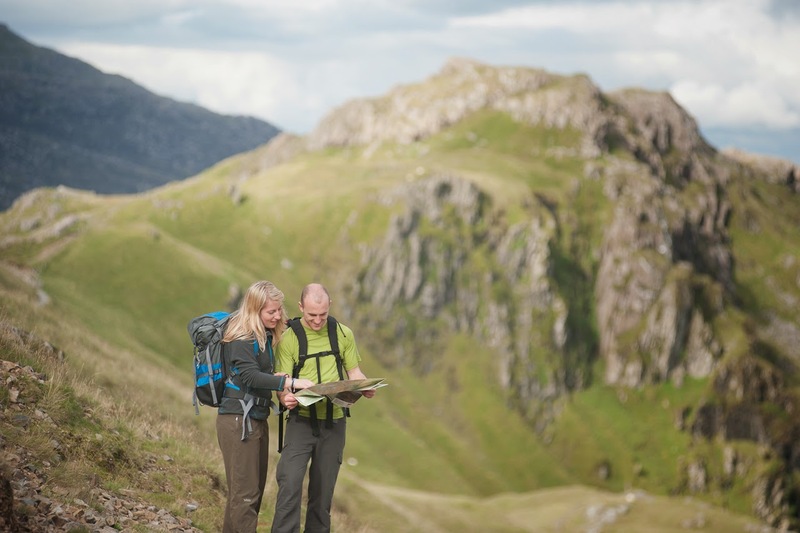 Elfyn Jones, BMC access & conservation officer for Wales, said: "In the last few years there has been a huge increase in the numbers of people on Snowdon – in 2013 there were 477,000 walkers, an increase of 23% on the previous year." "Many of these visitors are unprepared casual walkers, and there has been a significant increase in the number of avoidable callouts to rescue teams, parking problems, traffic congestion and litter." A quick search online reminds us of the many incidents which have happened in recent years on Snowdon - the Llanberis Mountain Rescue Team have a constantly updated page here. In the past the SNPA have been implementing a range of schemes designed to reduce the number of incidents and call-outs to the Llanberis MRT. In May 2013, new stone pillars were placed at points along the mountain where it was found walkers were getting into difficulties. 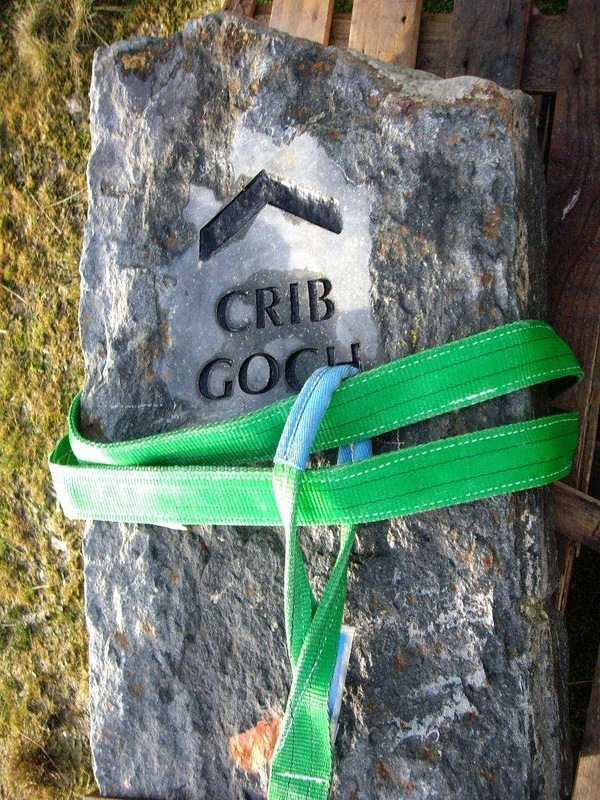 Stone pillars were placed to mark Bwlch y Moch and Crib Goch to encourage people not to go along these routes by mistake, another stone pillar identified the intersection of Llanberis Path and Snowdon Ranger Path as walkers often mix up the two paths. Also, a stone pillar was placed on the summit to identify accurately where the Watkin Path begins and another stone pillar to identify Bwlch y Saethau as walkers often make the mistake of descending the mountain this dangerous way. But The BMC say this hasn't helped. "The current practice of managing the paths by reacting to individual problems such as ‘landscaping’ and smoothing out natural obstacles has done nothing to alleviate the issues. If anything it has created a bigger problem as many walkers and visitors are under the impression that Snowdon is a “tourist attraction”, similar to a fully waymarked country park trail. User groups such as the BMC have had little opportunity to input into the strategic management of the mountain." said Elfyn Jones. Let's be honest here... walking up a mountain is not safe as walking in a country park. And no matter what measures are brought in, it never can be. But surely the mountains aren't to blame here? Nor are the 'fake paths' which are a feature of many a mountain? Jon Garside, BMC training officer, explains: "To some people it might seem easy to blame ‘misleading’ paths for accidents. But simply removing paths is not the answer. It is wrong to say that paths, summits or any other physical aspect of the mountain environment are inherently dangerous. The key factor is people themselves and their ability to deal with the hazards they encounter. To stay safe people must be taught to rely on their heads, not cues provided by artificial pointers." Jon's right. Walking up a mountain requires more skills than walking a waymarked long-distance trail. Map-reading skills, for example, are needed to ensure you are going on the right route - and these skills are not something you learn over night. Waymarking routes to the summit can only ever be a part solution - what happens in poor visibility when signs can't be seen? And the increasing numbers of walkers using apps on smartphones for navigation is a worry too. What happens here when the phone can't get a GPS lock? Or the battery runs out? Maps are required in these situations as a fail safe backup. And that means people need the skills to be able to read and map and interpret it. Elfyn Jones, BMC access & conservation officer for Wales, again: "The park authority should prioritise education and awareness-raising, putting effort into ensuring the visitor is better prepared, instead of treating Snowdon as if it was an urban environment and attempting to physically engineer it into being ‘safe’. This is simply impossible." It's not saying "Stay away for mountains" - just "Be prepared".